I just had one of the best Japanese meals I have ever had in my life. 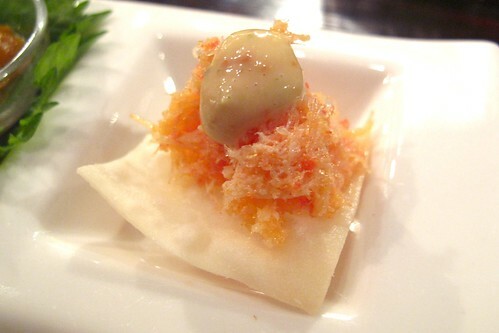 "home of Satoshi Kiyokawa, possibly the best unknown sushi chef in Los Angeles at the moment. 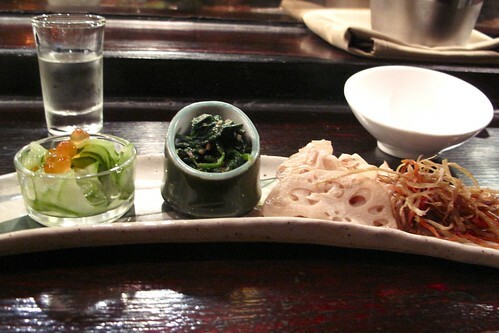 His multicourse omakase dinners are epic, kaiseki-style feasts; seasonal, imaginative meals that, while not cheap, rival their equivalents at places charging two and three times as much. 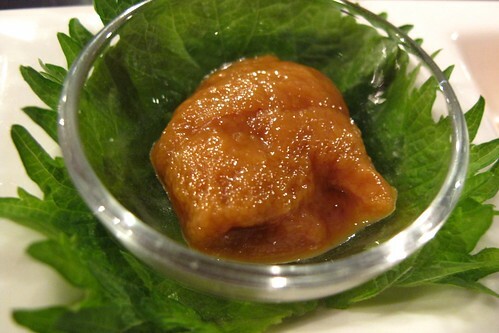 In my decades of reviewing restaurants, Kiyokawa may be the first place I was tempted to keep for myself." didn't know it would be this good. Satoshi-san appears to be dancing as he prepares his delectable omakase. With an colorful array of the freshest fish fillets before him and a long sharp knife in hand, Satoshi appears to be performing an intricate dance with his ingredients. He assumes a confident stance as every long, smooth stroke of his knife cuts the fish before him like it was butter. 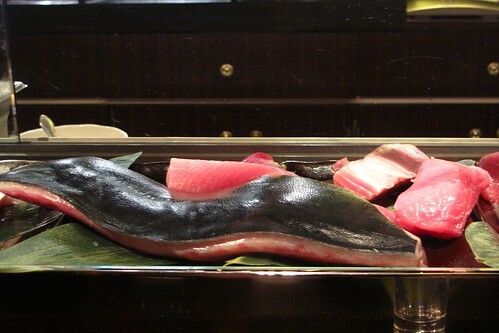 The molding of each nigiri seems to involve his entire body. Rocking back and forth, fish flying from hand to hand, the rhythm of his movements seems to help to create impeccable pieces of seafood and rice. 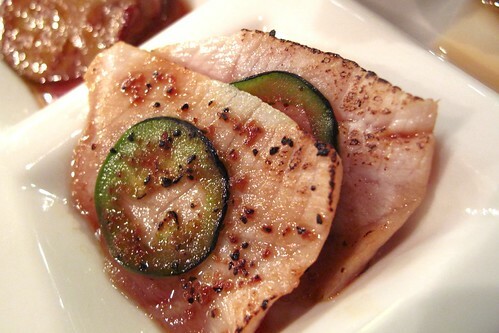 I always knew the preparation of Japanese cuisine was an art form--I had just never seen it in such a dynamic, flamboyant way. Without a doubt, sit at the sushi bar so you can marvel at Satoshi-san's moves while enjoying his interpretive, flawless creations. Watching him at his art added as much to my experience as each delicious bite. 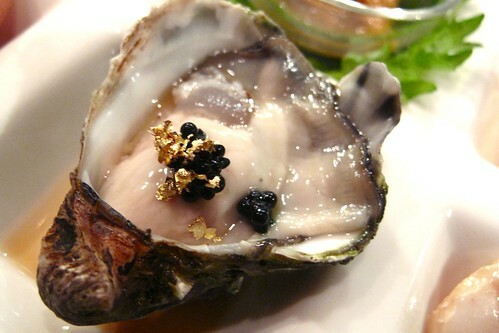 There are pictures out there of the omakase at Kiyokawa by that I find to be absolutely stunning. These are mine. They're as much for you as they are for me to help me as I reminisce about every impeccable bite of that dinner. 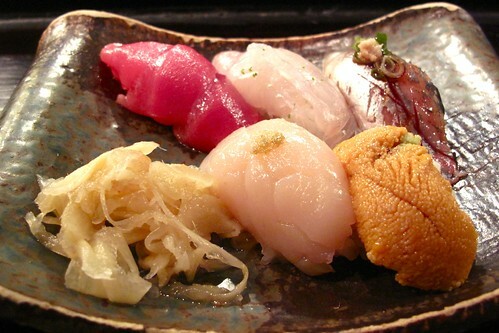 Throughout my childhood, I visited many of the best sushi restaurants in Tokyo or in Taipei with my family. I've had my share of omakase meals. 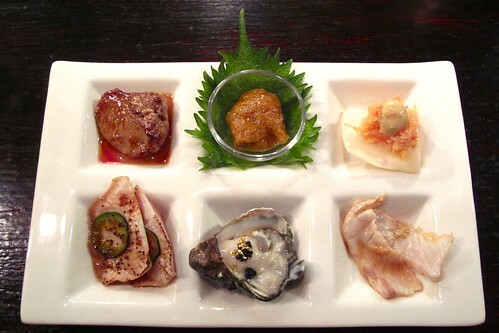 Nothing has captured my heart as much as Satoshi's omakase. It might be because every course involved my absolute favorite ingredients, from uni to foie gras to fresh abalone and black cod. There are my favorites ANYWHERE. 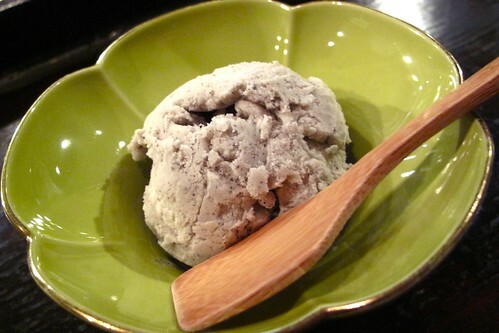 Now my favorites are at Kiyokawa. 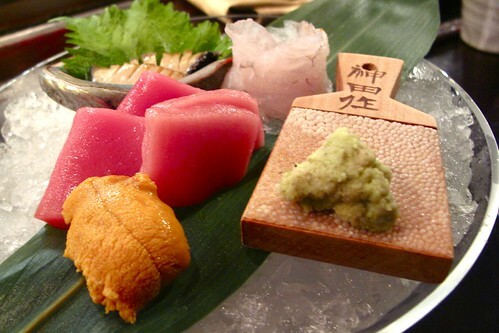 Satoshi asked if I had any preferences when it came to sashimi. I answered: "anything that comes in a shell!" 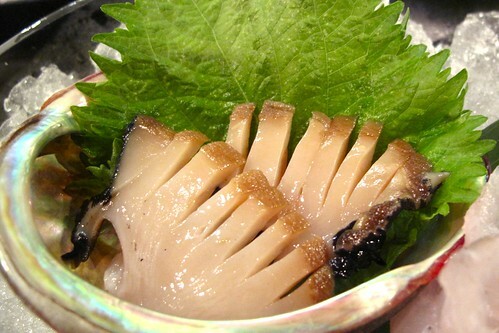 This resulted in deliciously fresh abalone, creamy sea urchin, and later on, sweet scallop. I was in heaven. This was a plate full of little treasures. I can't even find words to do them justice. Each little compartment held two bites of the most perfect flavor and texture combinations I have ever encountered. While reminding me a little of Japanese bento boxes in how it was organized, this dish was a very modern take on Japanese cuisine in both taste and presentation. I loved it. 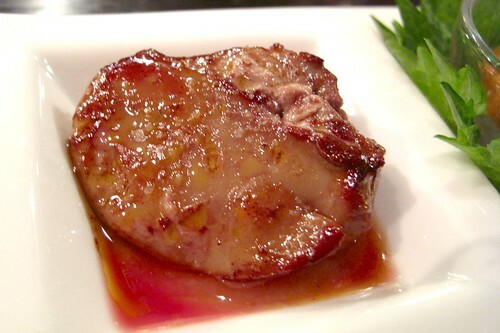 Don't let the seemingly bland and boring look of this dish fool you. It was delicious! 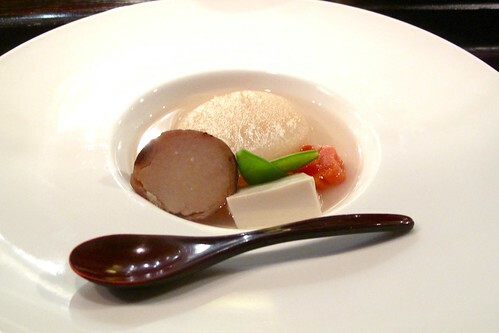 The broth was good but the most amazing part was the piece of daikon in the back. It was so good! Spoon tender while maintaing its texture, the daikon had soaked up the flavor of the broth and each bite only made me want more. 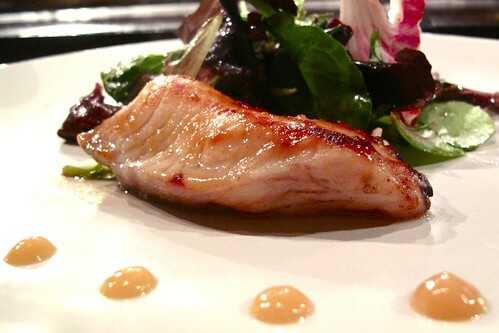 I love miso marinated black cod. I've never had it paired with a salad. Ingenious! 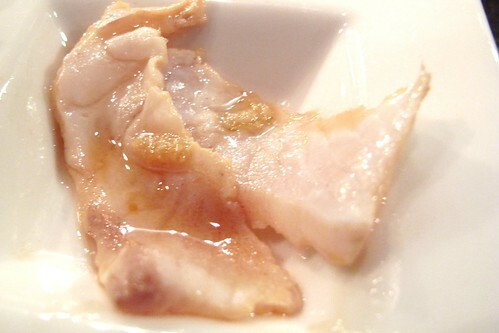 The salad was dressed in sesame oil and was perfect for balancing the fatty goodness of the cod. The next dish was a amazing "japanese matzo ball" soup. 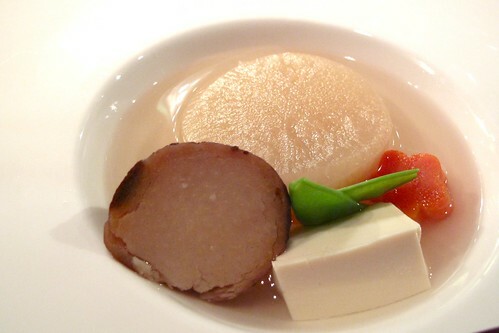 It was a big ball of light fluffy tofu mixed with sweet scallop that was deep fried and then put in a thick clear soup. SO GOOD. I only wish I had taken a picture of it before I devoured it all. I was trying to eat it some of it before the soup made the entire ball of goodness soft. I got a few good mouthfuls of tempura in soup before the whole thing disintegrated into the delicious soup. After that soup, I was officially starting to get full. The final plate of nigri was just the thing I needed. Some more fish and sushi rice! big fan of this place. tho at $70++, it's definitely not a monthly splurge. The southbay is full of reasonabble omakases, now the rest of the city needs to catch up. At the lower price point, Toshi in Lil Tokyo is still my go-to. 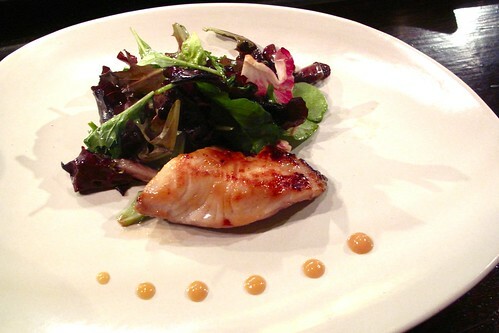 miso marinated black cod is da bomb. we're going tomorrow..hope it's still good!